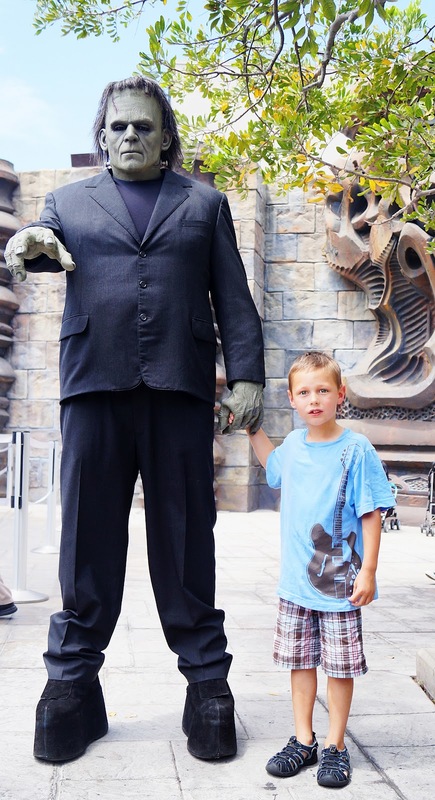 I wasn't quite sure what to expect from Universal Studios but we all really liked it. I liked that there were entertainment options as well as rides. 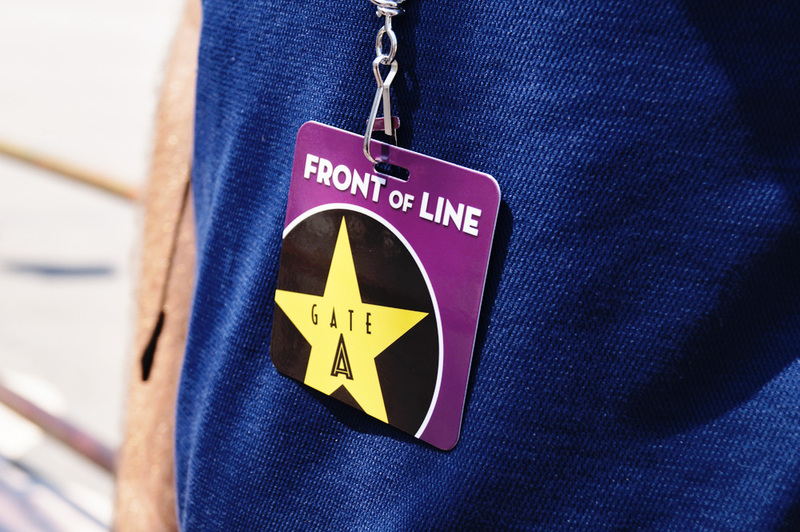 We had media tickets to the park, and they upgraded our tickets to give us "Front of the Line" passes. It was definitely nice to have those. They allowed us to go to the front of each line once. I'm not sure that we would have even gone on the new Transformers ride if we didn't have the passes, the line was over 2 hours long. 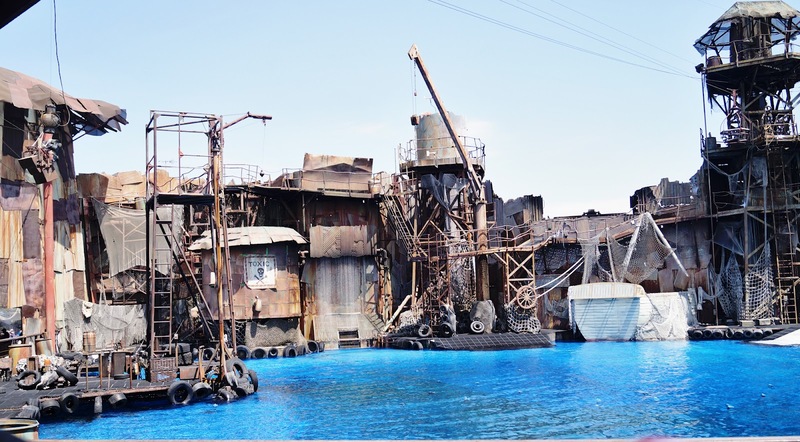 When we first got there, we went to the Water World show. It was pretty entertaining and had some cool special effects. I still love this picture with Chandler & Frankenstein. We went through the haunted house and it was actually pretty scary. I think it's because we had to walk through. Chandler had a death grip on mine and my dad's hands. I'll admit that it was kind of scary. I don't love things jumping out and grabbing me. 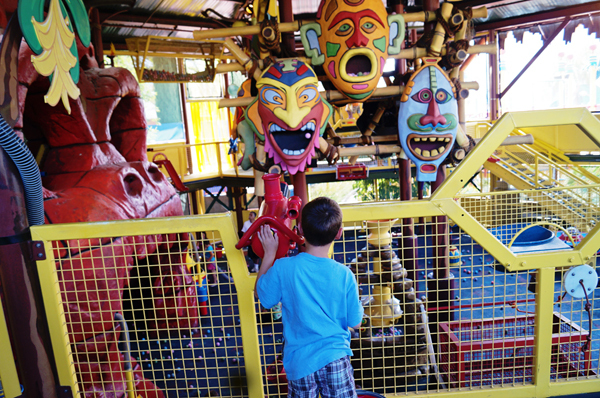 They had a huge Curious George area which the boys loved. There was a big water play area and then an indoor area. We didn't bring the boy's swimming suits in and Rowan was soaked. 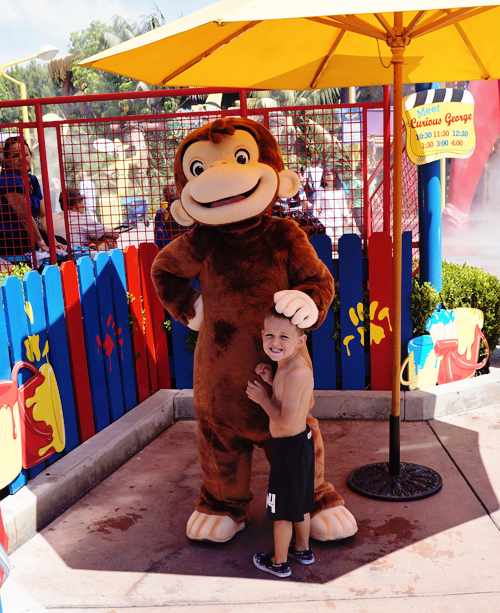 We took his shirt off and that's how he took his picture with Curious George. 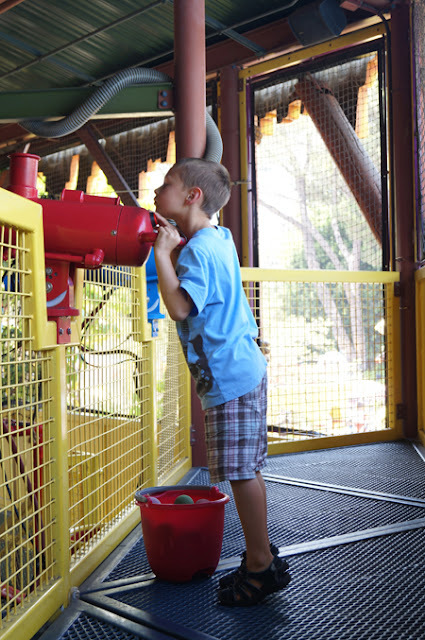 The Curious George indoor area had hundreds of balls. You could shoot them with guns, put them into suction tubes and more. Marshall and I had fun playing in here with the boys for a while. The Studio Tour was another fun ride. It was about an hour long. We saw a special King Kong 3D movie, saw where they film Desperate Housewives, saw the set for The Grinch, the biggest greenscreen, Jaws, the plane they used in War of the Worlds and more. 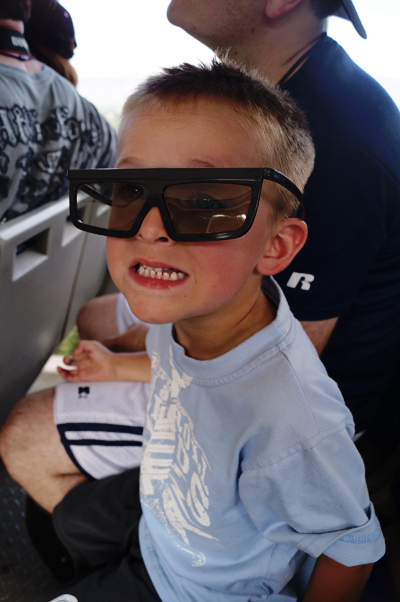 Here's Rowan sporting his 3D glasses right before the studio tour started. 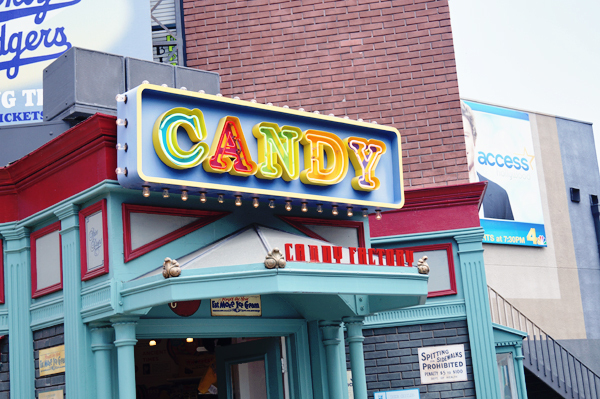 My mom and I spotted this candy store and went in for some overpriced theme park candy. 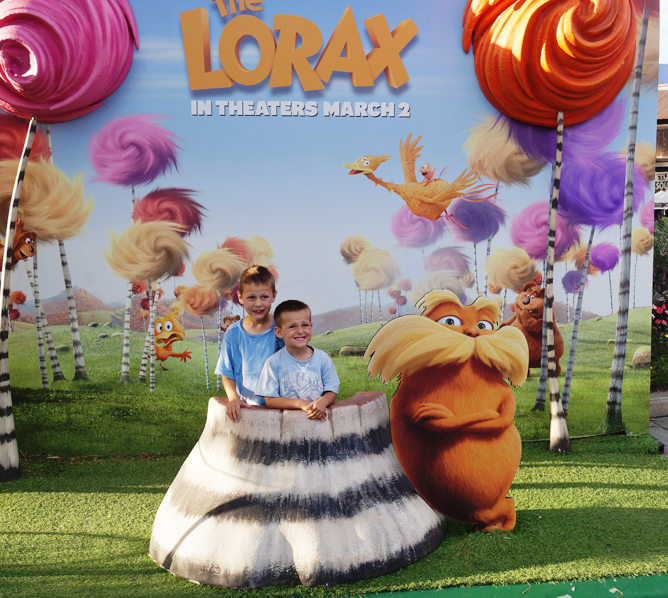 Getting a picture by the Lorax. 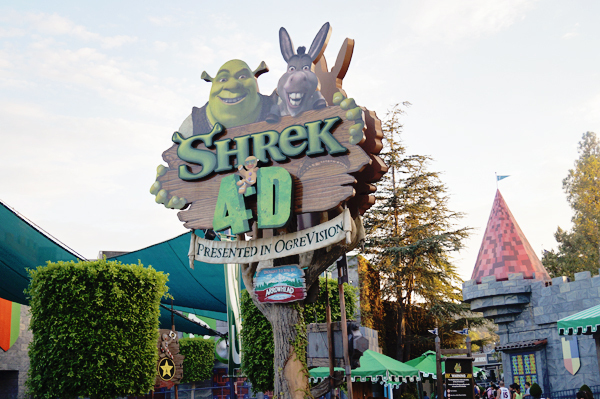 Shrek 4D was another fun attraction that we went on. It was a 4D film with moving seats. We all loved this one. fabulous Pics...Nice pics for wandering. You enjoyed it lot!! Sure looked like you had fun here. And I will make sure that my son has a swimming suit so that he won’t get soaked.